Scott Israel denies being responsible for missed warning signs before the Parkland high school shooting. 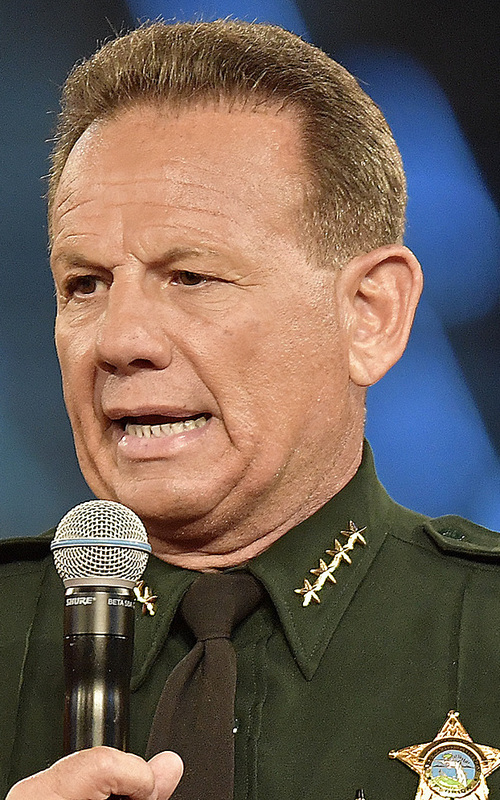 Broward County Sheriff Scott Israel said Sunday he should bear no responsibility for the missed warning signs before the Feb. 14 mass shooting at Marjory Stoneman Douglas High School that left 17 students and faculty dead. Israel has faced intensifying questions about the agency’s response to the massacre since the revelation that an armed deputy on the scene did not enter the school while the gunman was inside. That deputy, Scot Peterson, retired last week after being suspended. Israel said Sunday he should not be faulted for Peterson’s actions. “You don’t measure a person’s leadership by a deputy not going in,” he said. State. Rep. Bill Hager, R-Boca Raton, sent a letter to Gov. Rick Scott on Saturday attacking Israel for “neglect and incompetence” and calling for his removal. National Rifle Association spokeswoman Dana Loesch, speaking Sunday on ABC’s “This Week,” also accused the sheriff’s office of “dereliction of duty” and said Israel should face increased scrutiny. During a rampage inside the Parkland high school, police say, Cruz fatally shot 17 students and faculty before blending in with the fleeing teenagers and escaping the campus. He was taken into custody later that afternoon. He now could face a potential death sentence. Police from the neighboring city of Coral Springs have said three other Broward deputies besides Peterson were waiting behind cars outside the school when they responded to the shooting. Israel said Sunday that only Peterson, then the school resource officer, was at the school during the shooting.